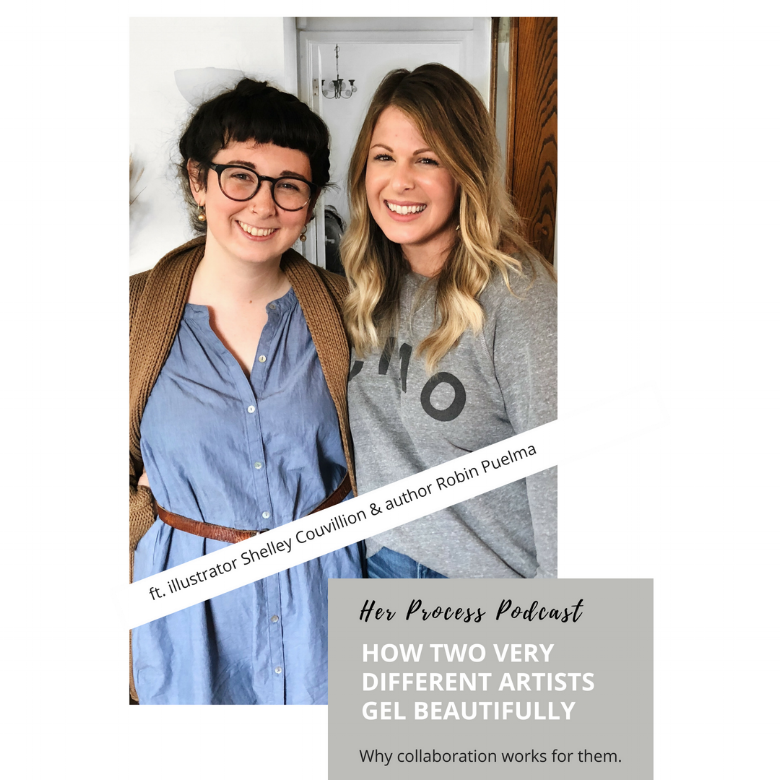 Today I’m chatting with author Robin Puelma and illustrator Shelley Couvillion for the second installment in my series on collaboration. Robin is a freelance blogger and the author of middle grade novels, The Missing Crimoire and The Naming of Colton Black. And Shelley is an illustrator who has had several solo shows, she’s illustrated comic books, and is now focusing on children’s book illustration…and that’s where our story begins. And there are fun tidbits about the how to’s of their respective careers woven in to our talk about collaboration. There's so much good info here, whether you’re an artist with representation or an artist who's out there doing it for yourself! Listen and be inspired, my friends! Here are Robin Puelma and Shelley Couvillion.